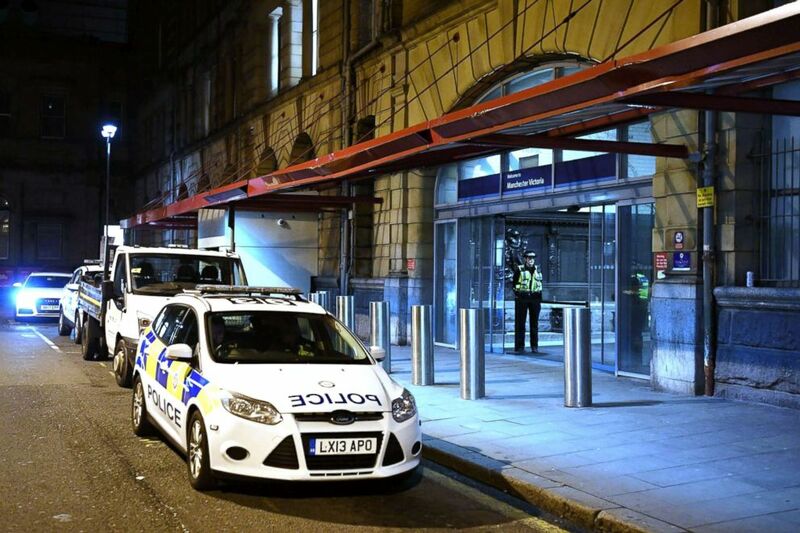 The attack happened Monday just before 9 p.m. at the city’s Victoria train station, which is close to Manchester Arena. That’s where a suicide bomber killed 22 people at an Ariana Grande concert in 2017. “Last night we experienced a horrific attack on people out to simply enjoy the New Year’s Eve celebrations in Manchester,” said Chief Constable Ian Hopkins. “That the incident happened so close to the scene of the terrorist attack on 22 May 2017 makes it even more dreadful,” Hopkins said. Police officers stand near a cordon at Manchester Victoria Station, in Manchester, England, on Jan. 1, 2019. 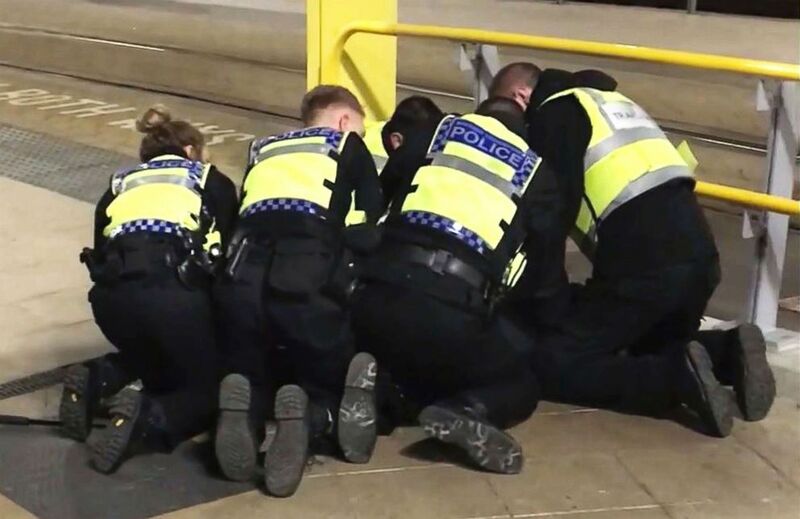 “My thoughts are with the couple, who are still being treated in hospital for their serious injuries, and with the brave British Transport police officer, who was also stabbed during the attack,” Hopkins added. Police restrain a man after he allegedly stabbed three people at Victoria Station in Manchester, England, late Monday, Dec. 31, 2018.